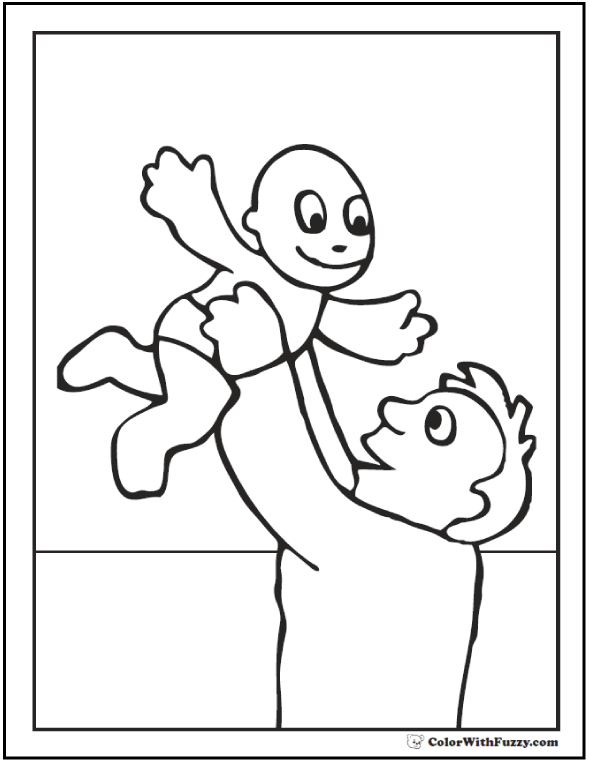 More than thirty five interactive and printable Fathers Day Coloring Pages! Mmmm. I can smell it now. 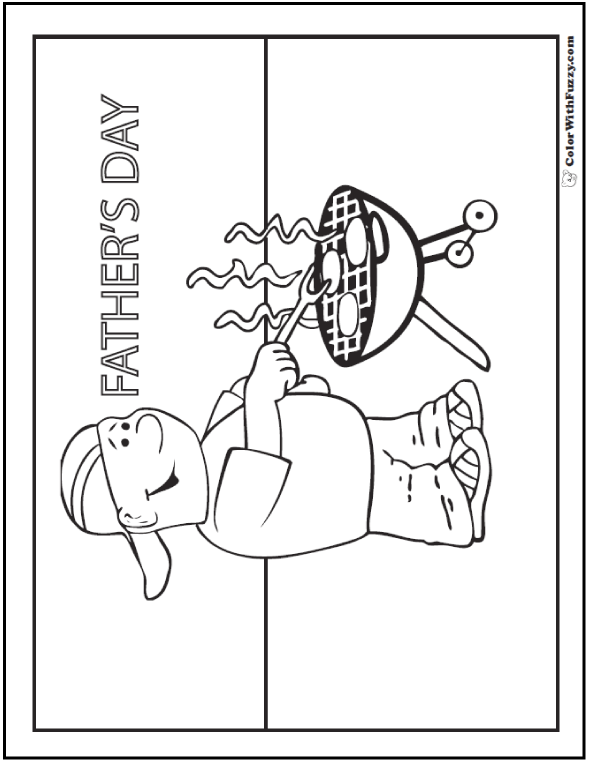 My father's busy at the grill - he loves to try new BBQ recipes. 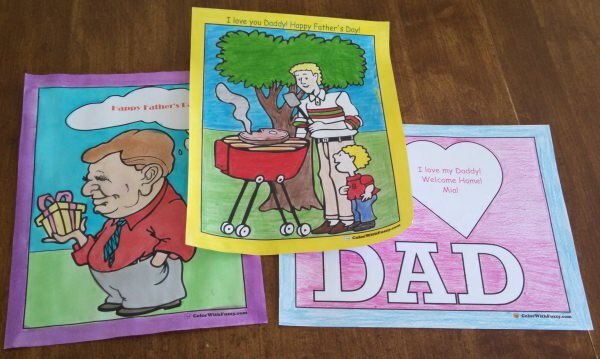 My Father's Day coloring pictures help you show your father how much you appreciate all he does. 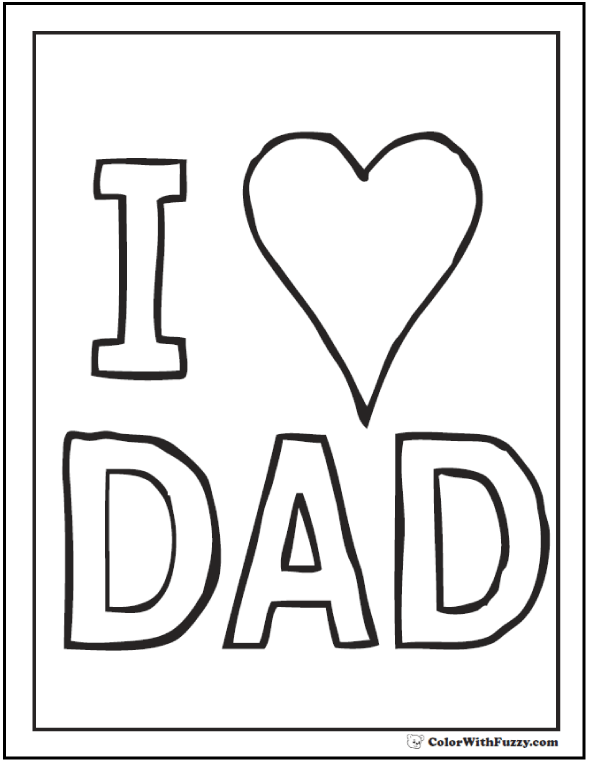 What do I like about Father's Day? 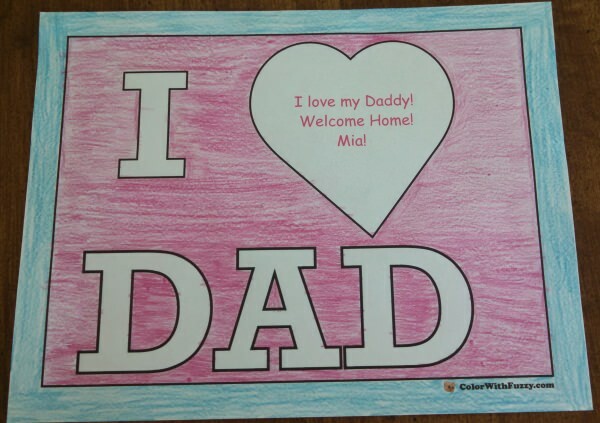 I love being home with Dad. 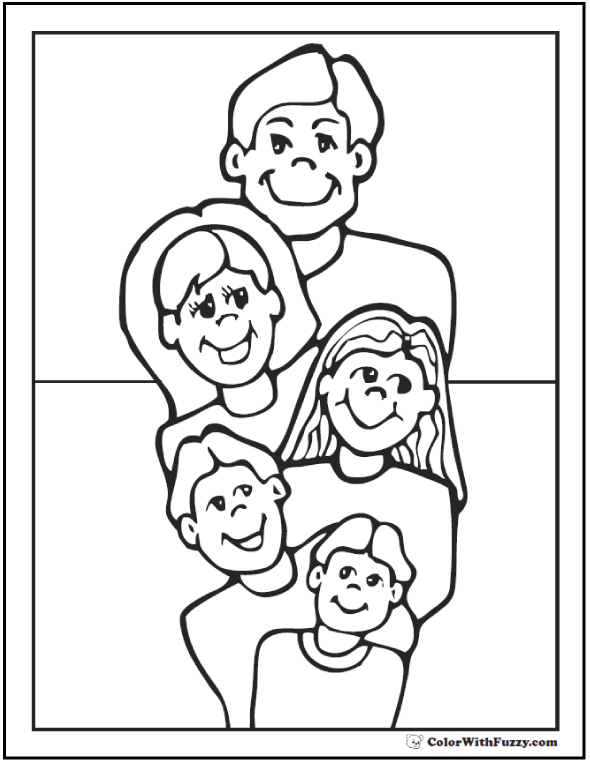 Sometimes we go somewhere special as a family. That's a lot of fun, too. 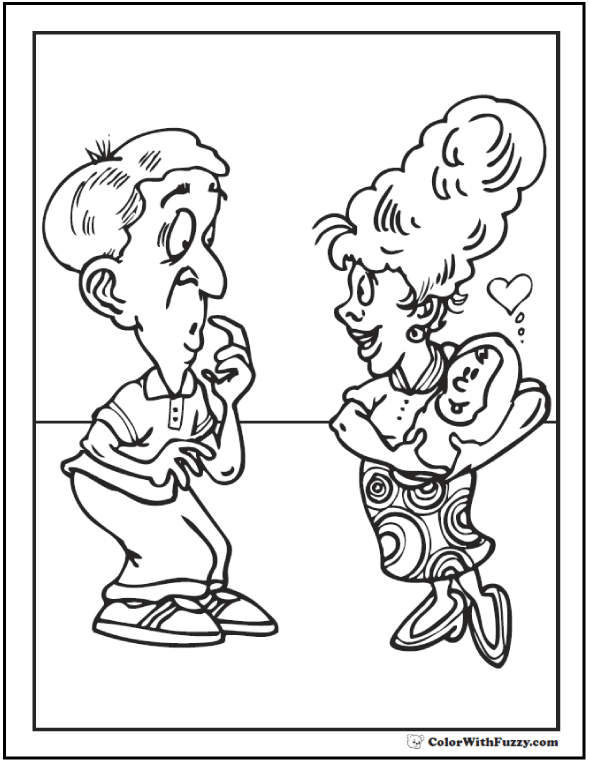 What do you like? 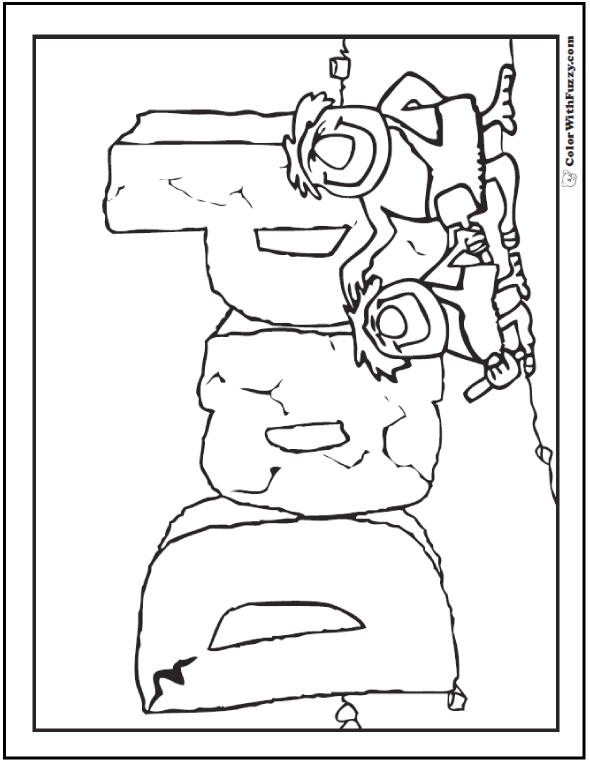 Do you see your favorite below? 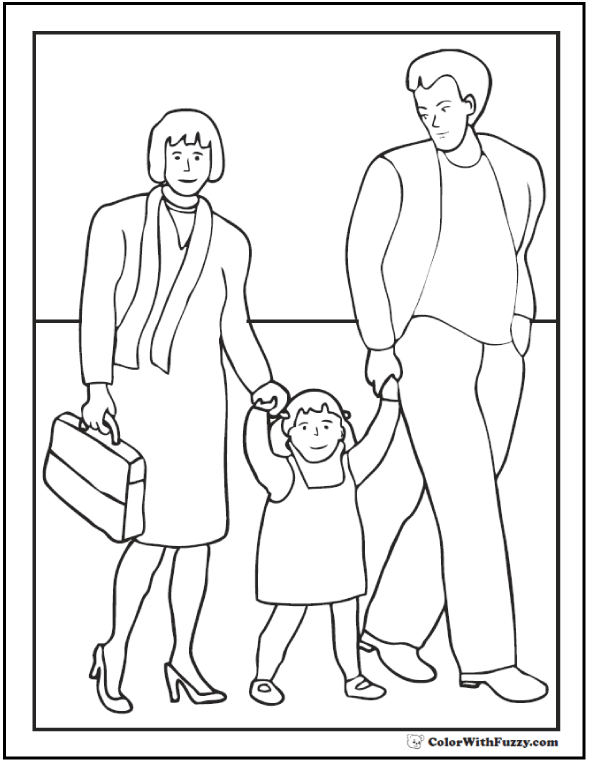 Happy Father's Day coloring pages: A) Family, B) Son, C) Daughter. 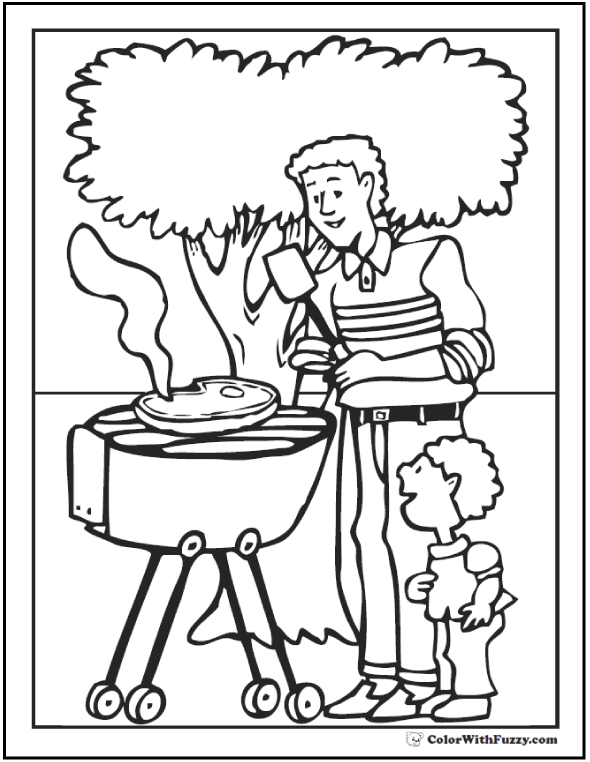 BBQ, Books, Cars, Computers, And Hammocks. 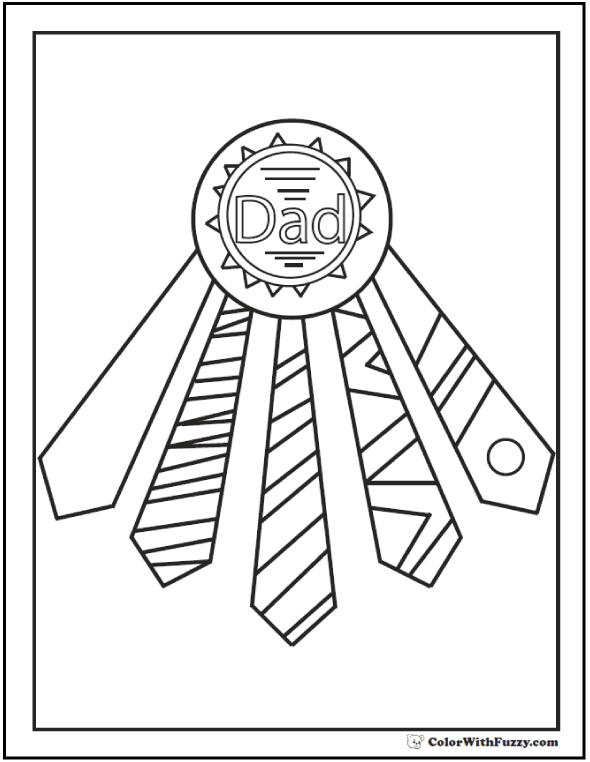 Dad Coloring Pages Awards, Love, And Ties. 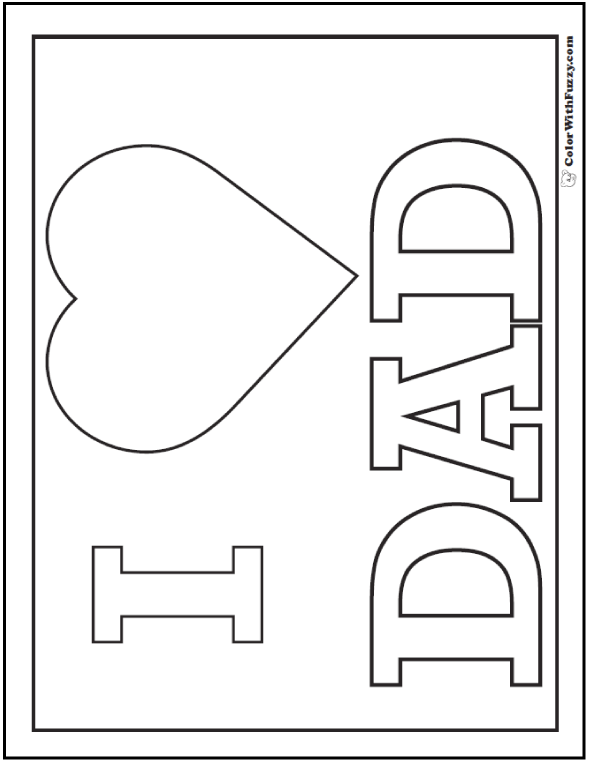 I love my father! I know you do, too. 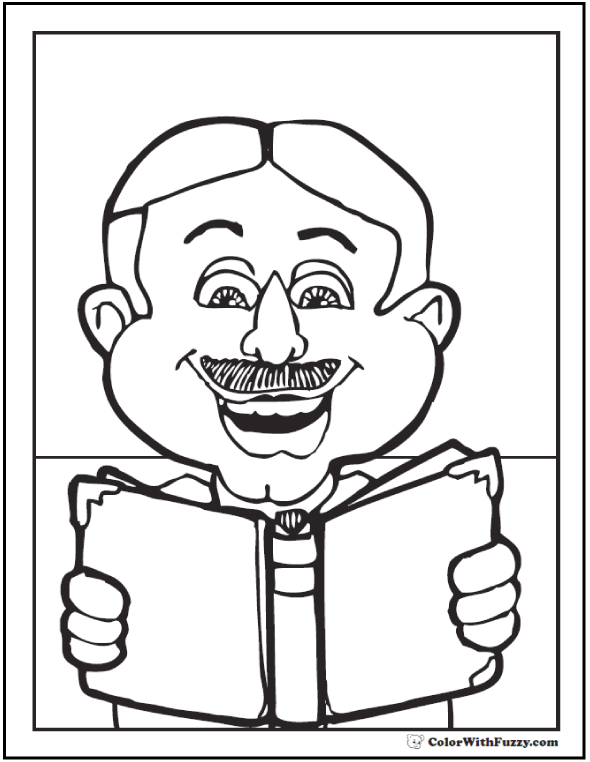 Color a fun Father's Day page for your father and see if you can find a picture that looks like your Dad. What do you think? 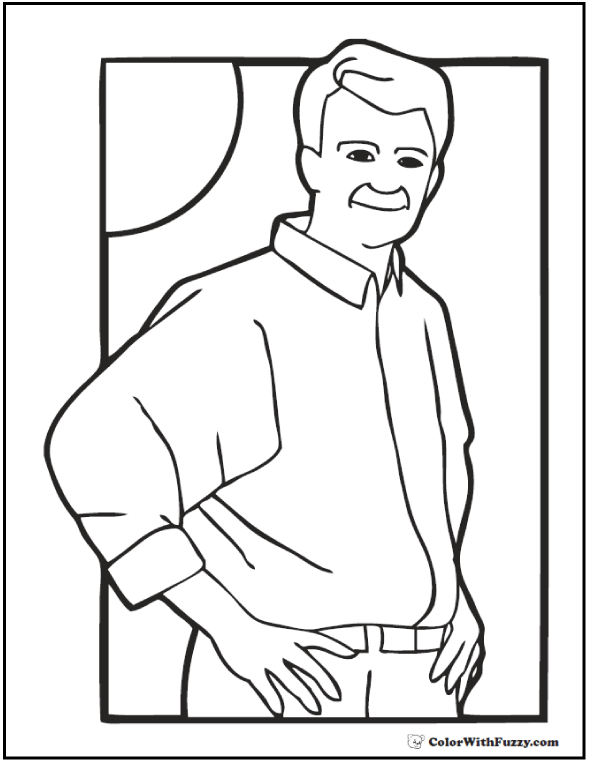 Does the guy at the BBQ grill look like Kevin O'Connor at This Old House? I think so. I like watching his show! 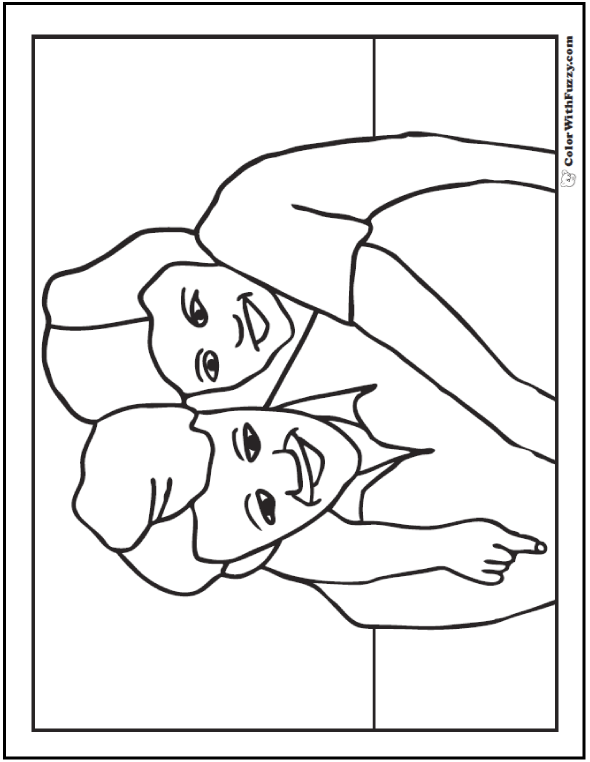 Color a poster with this little boy and little girl. 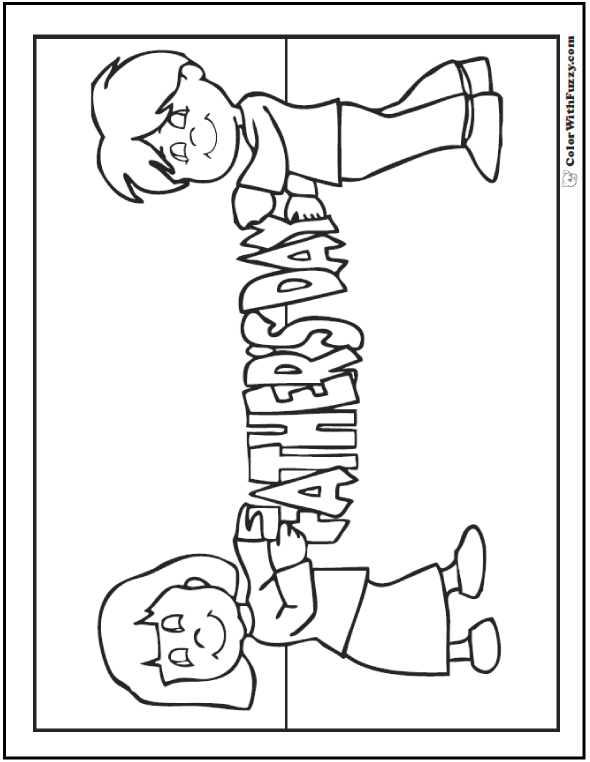 Here's some more coloring pages for Father's Day! 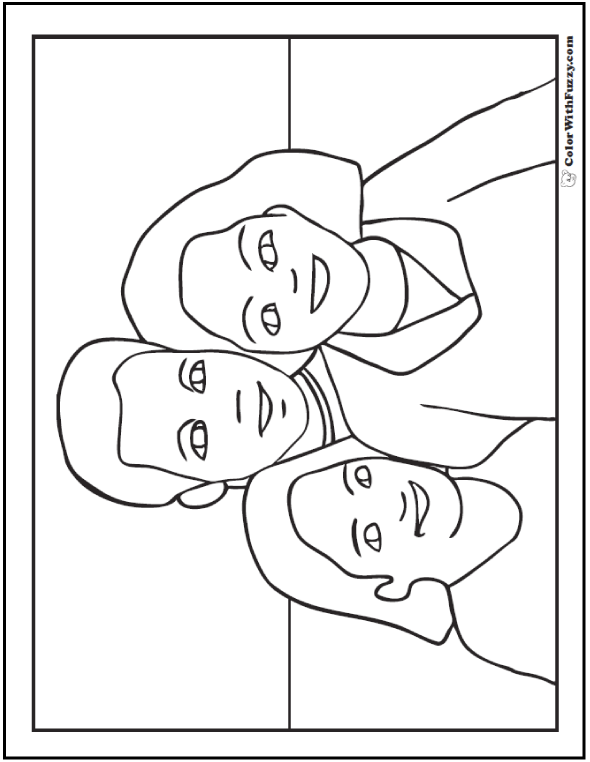 I think the middle one here looks like Tom Daldin of Under The Radar Michigan. I love his tour of Mackinac Island. Enjoy! 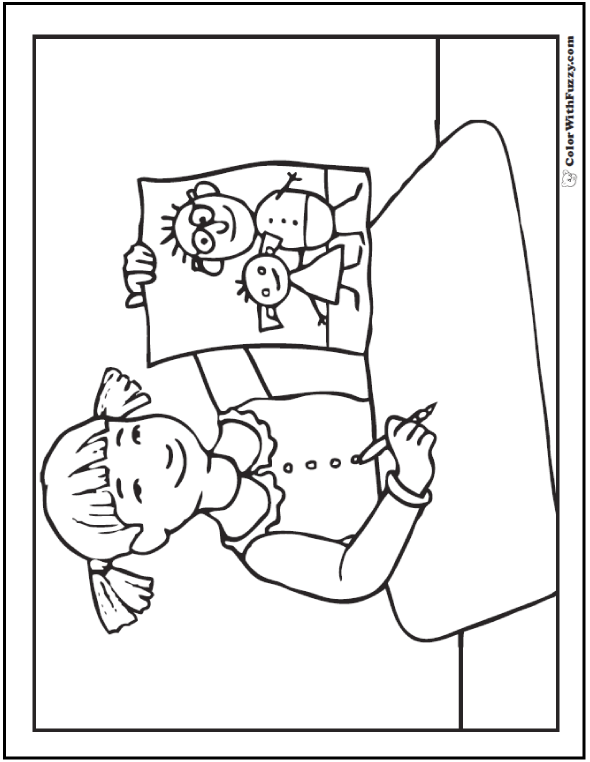 Great for preschool and kindergarten - they love to choose a picture that reminds them of their own family. 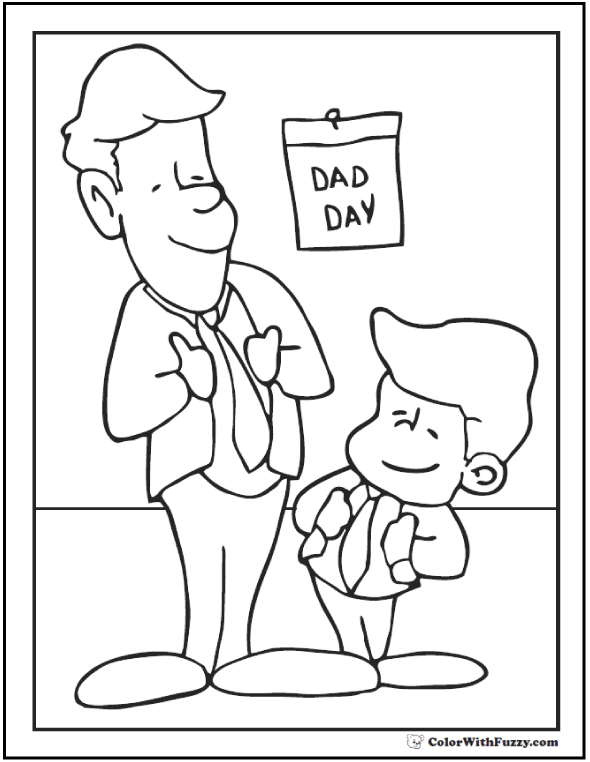 Add notes for Dad when you download my printable Father's Day coloring pages. Good old American Dad. 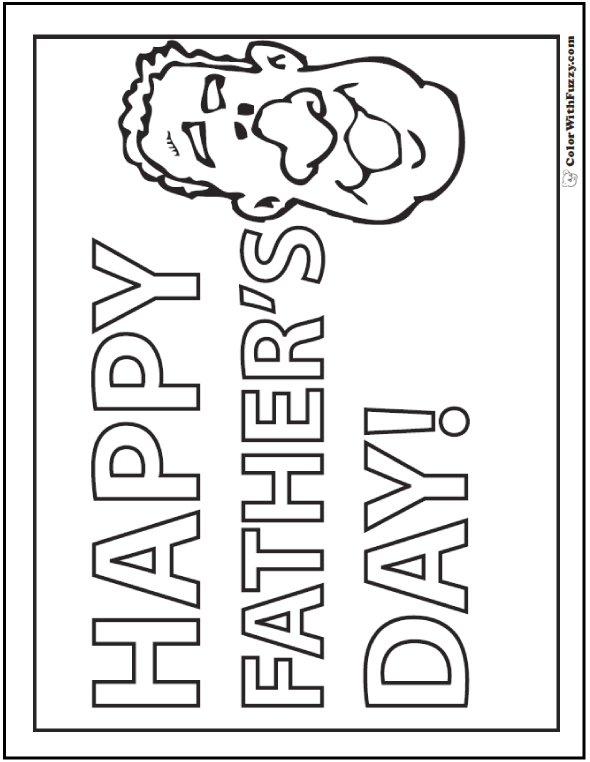 Fuzzy's Father's Day coloring pages are super for Father's Day. 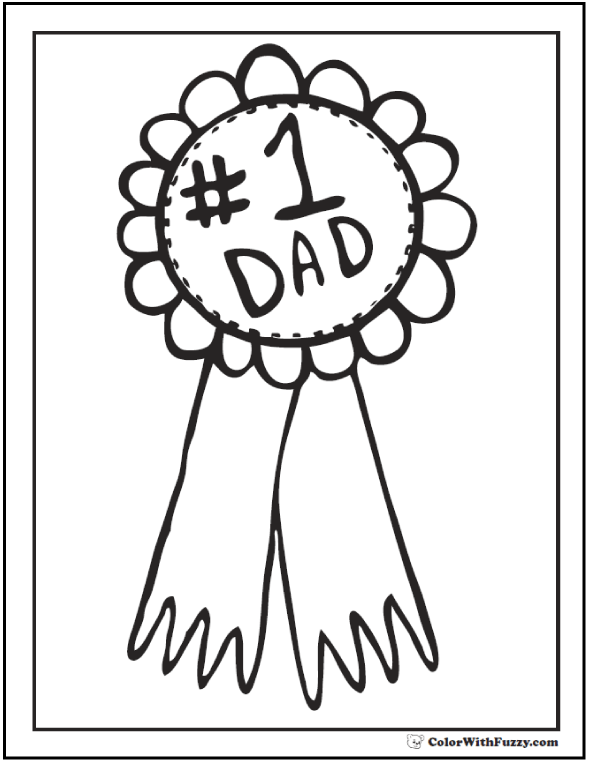 You've got the best Dad ever, and he's worth something special. The best thing is a great big hug and a big happy smile. 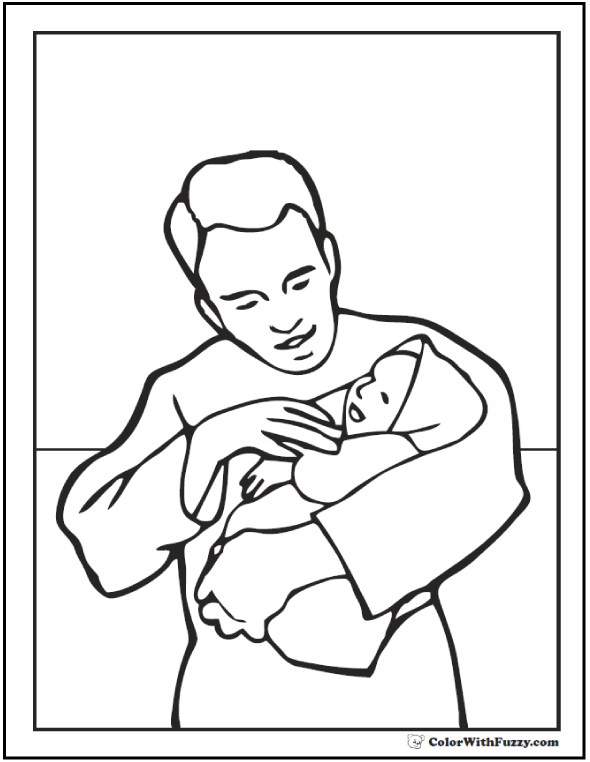 Do you want to do something with Mom that could be a huge help to your father? 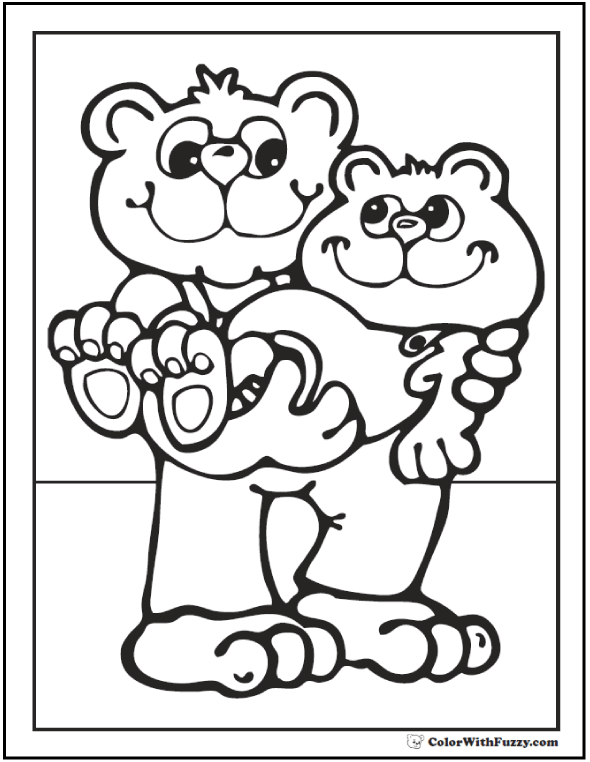 Add notes for him when you download Fuzzy's printable coloring pages. See the note at the top of the yellow picture? 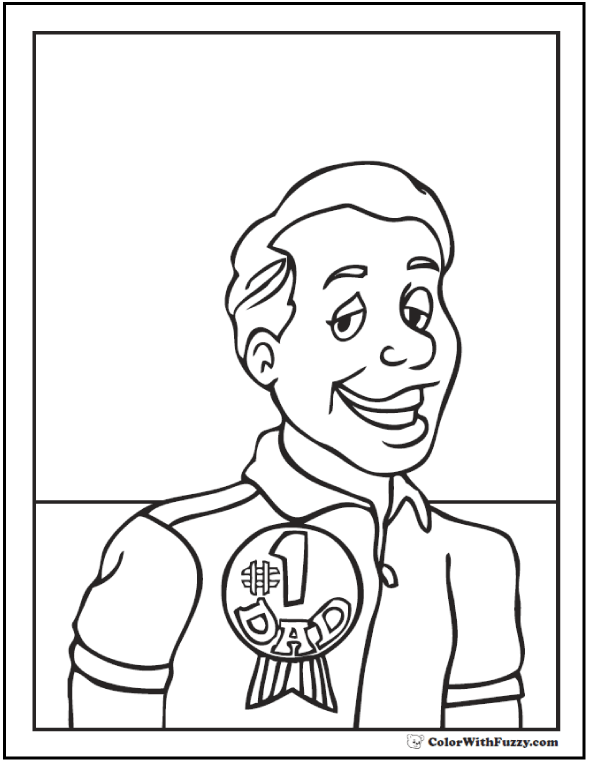 And the B on the boy's shirt? 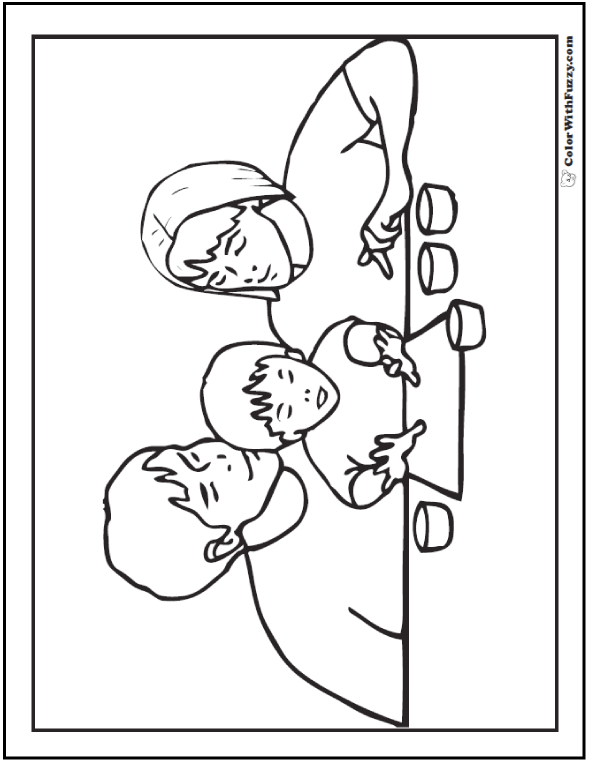 I typed them in before I printed the coloring page. 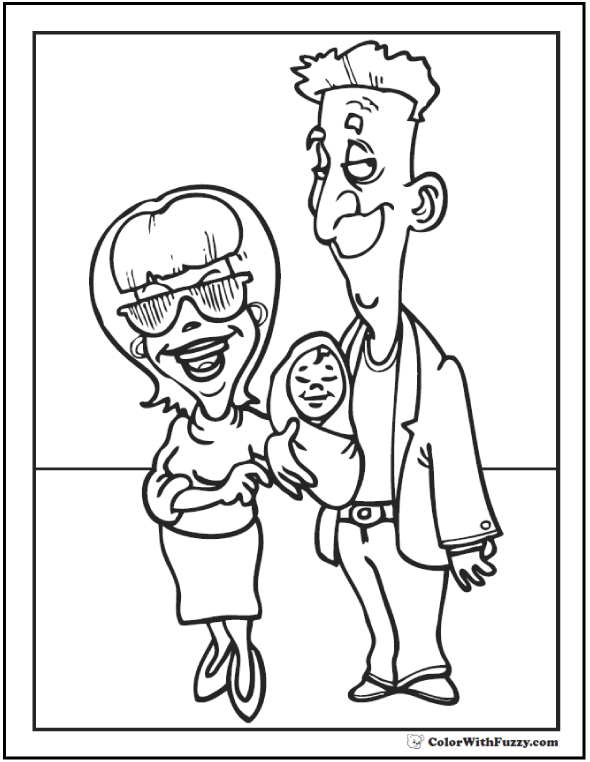 Customize your coloring pages for Dad or Grandpa with a personal note using Fuzzy's coloring pages. 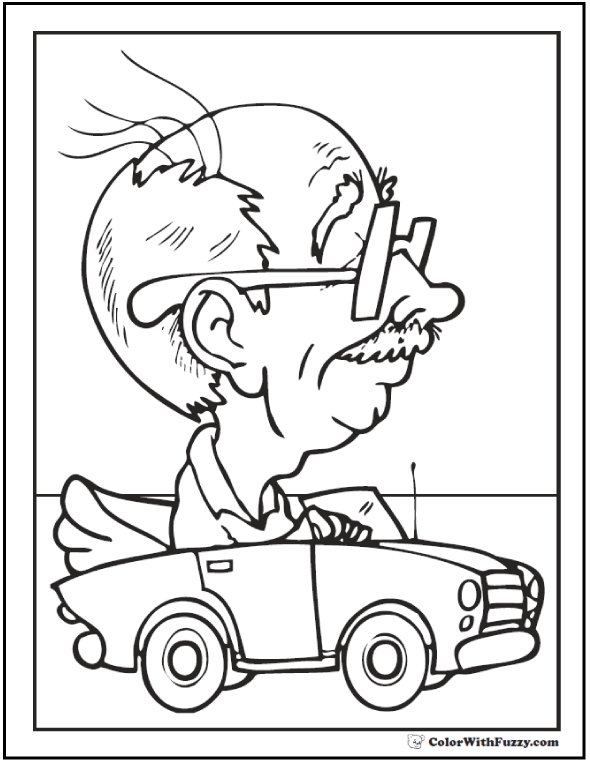 Here's a project my family did for my father once. We cleaned up his shop! 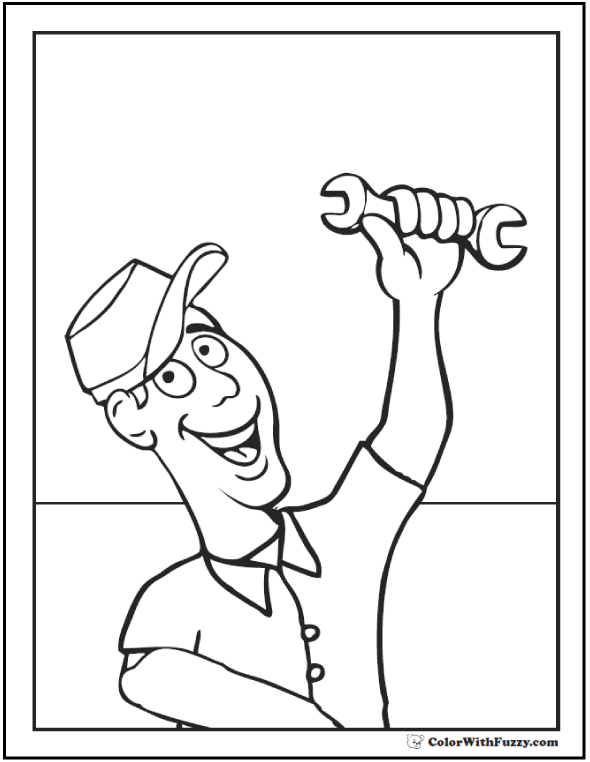 I picked up the nuts and bolts, while my sister swept the floor and Mom rearranged things on the bench and dusted it clean. 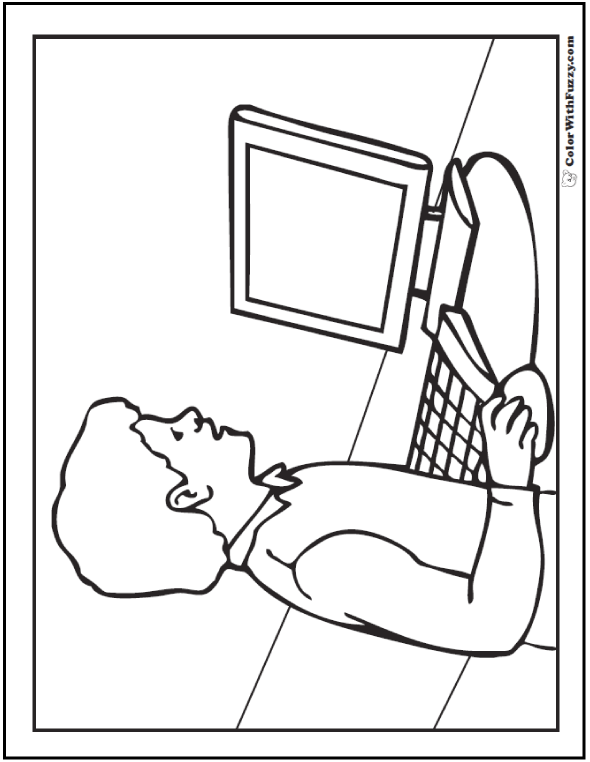 Ask your Mom if she can think of something like that, too. 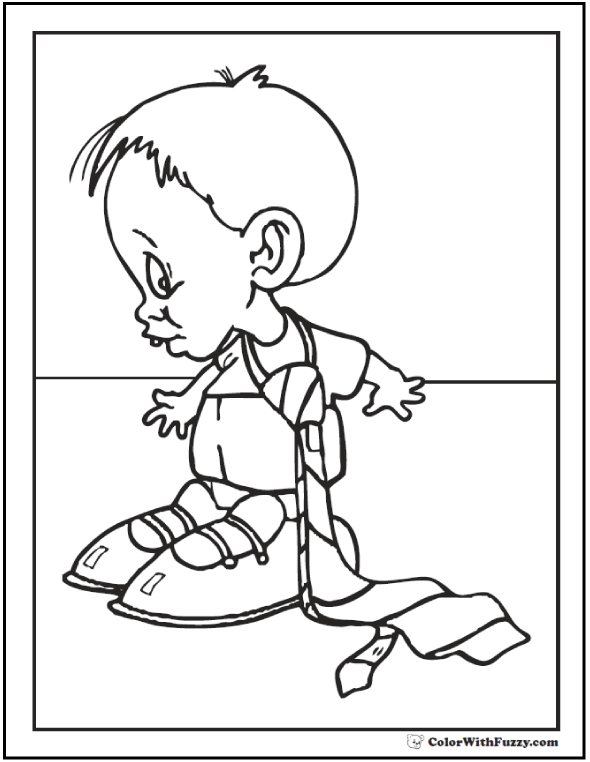 Maybe he would like all his good shoes cleaned and shined. 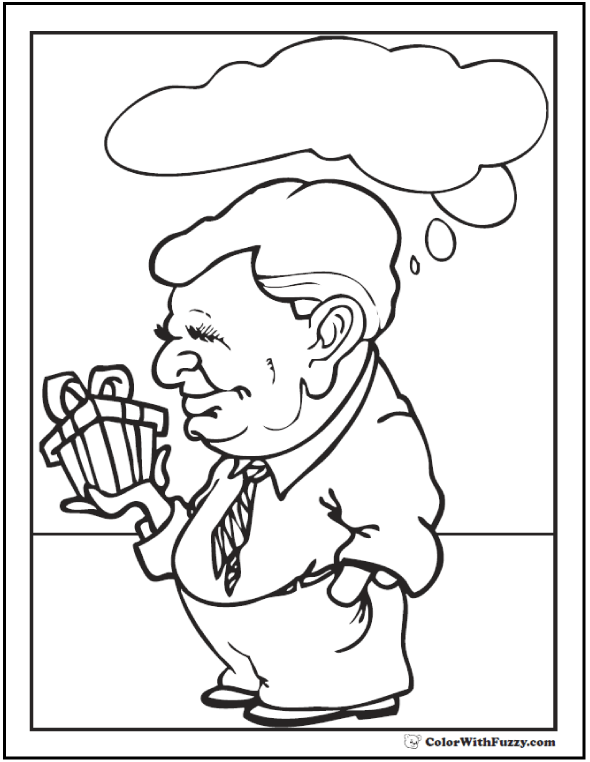 Maybe he would like a section of the garden weeded. 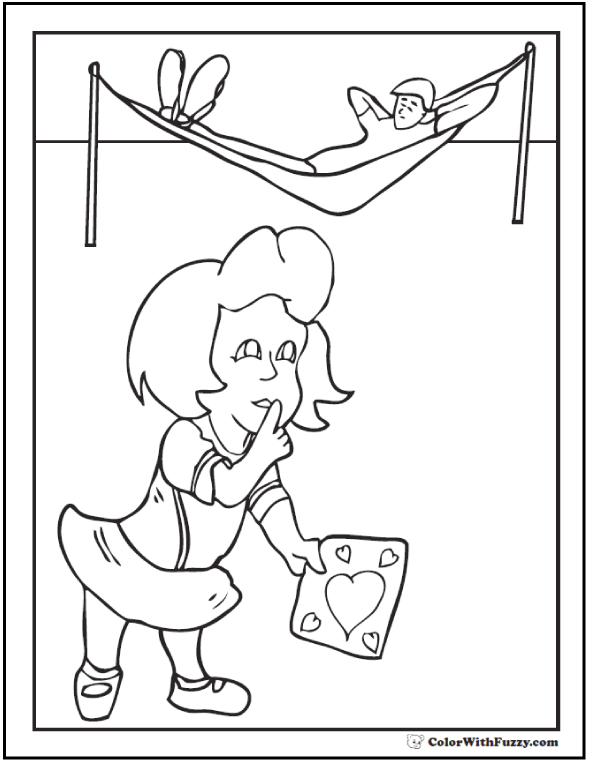 Maybe he would simply like to know that you can make your bed. 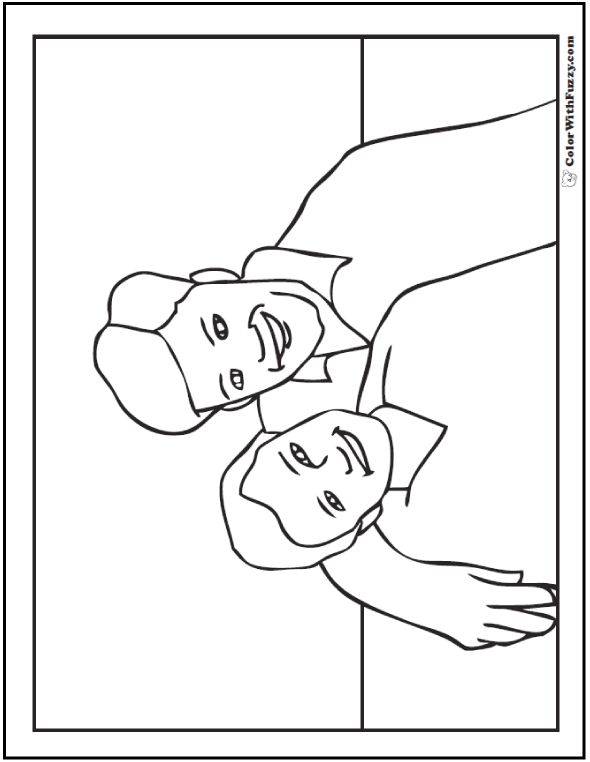 I was super proud when I could make my bed look like those in the catalogs, so that might be wonderful for your father. 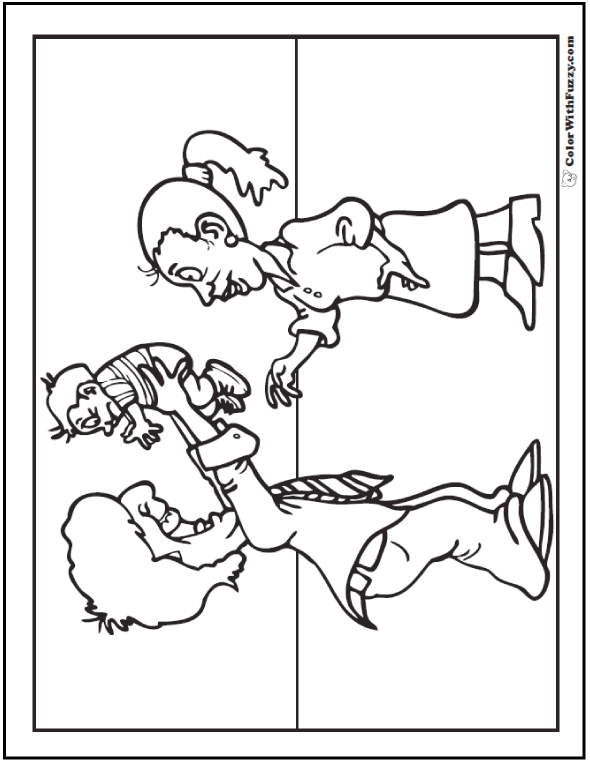 Mom too! 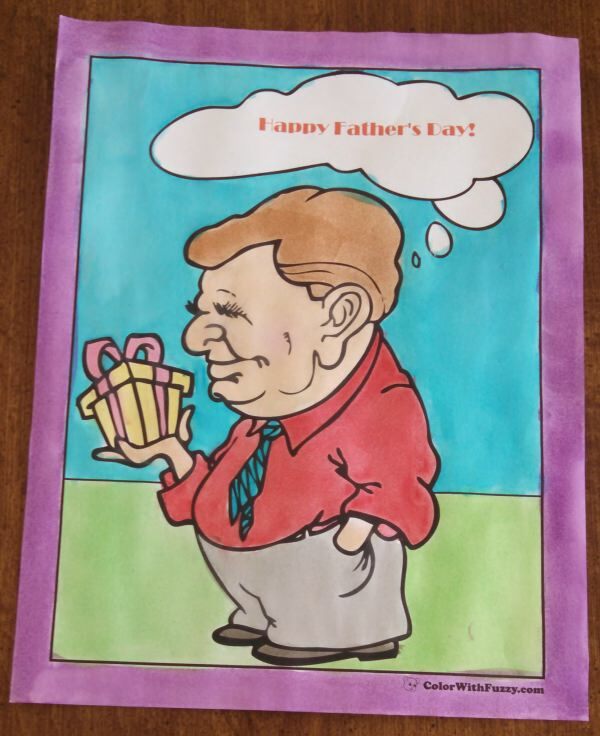 Here's a Father's Day project my whole family likes. We put about twelve cement blocks around in a rectangle. Then we dug a pit in side it. You can get fancy and go to the hardware or lumber store to get really nice blocks and bricks, yet our cement blocks work really well. 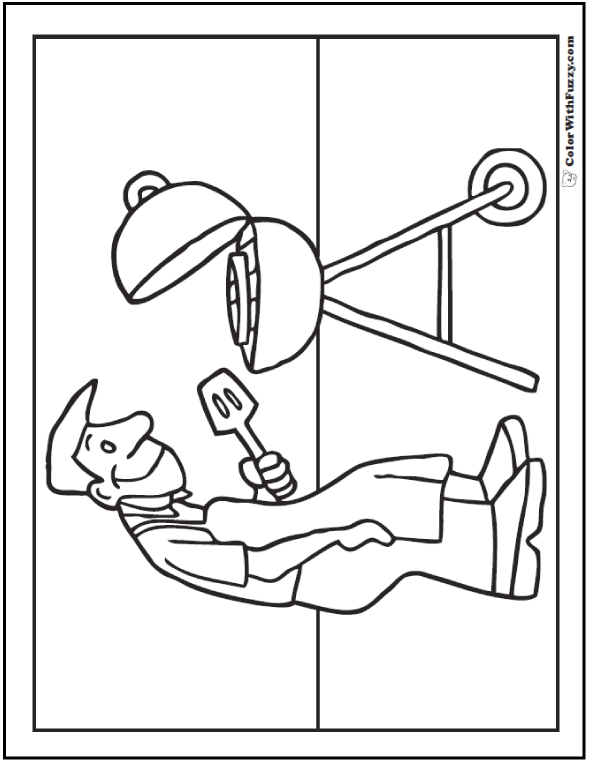 Now we can use it to watch a fire in the evening or to grill some hot dogs and hamburgers. My favorites are marshmallows! Hey! 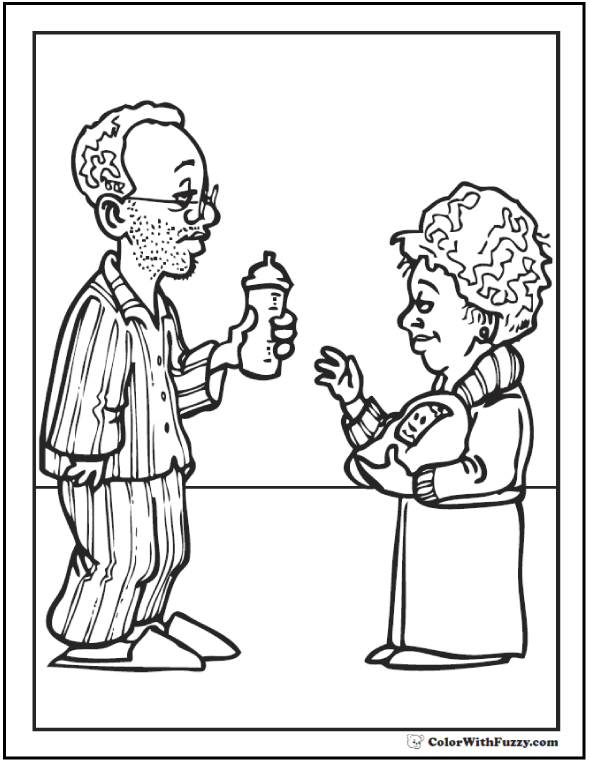 Think of Mom and Grandma on Mother's Day and be patriotic on the Fourth of July. 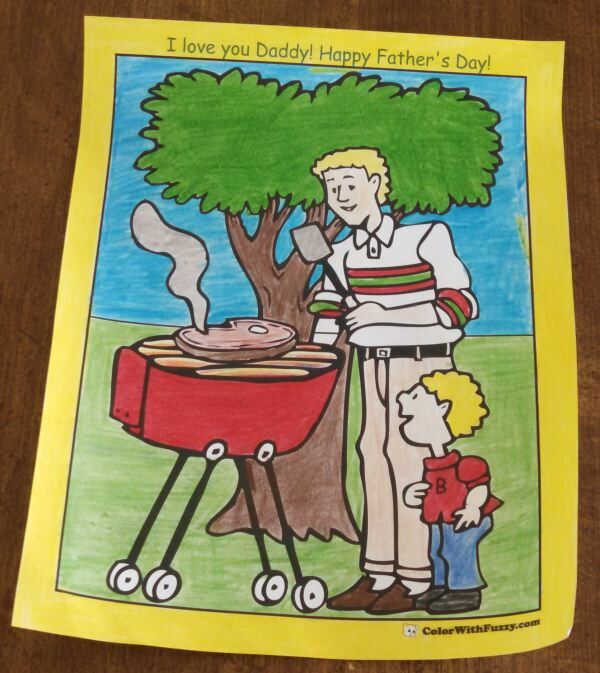 Thank you for coloring with me and have a happy Father's Day! 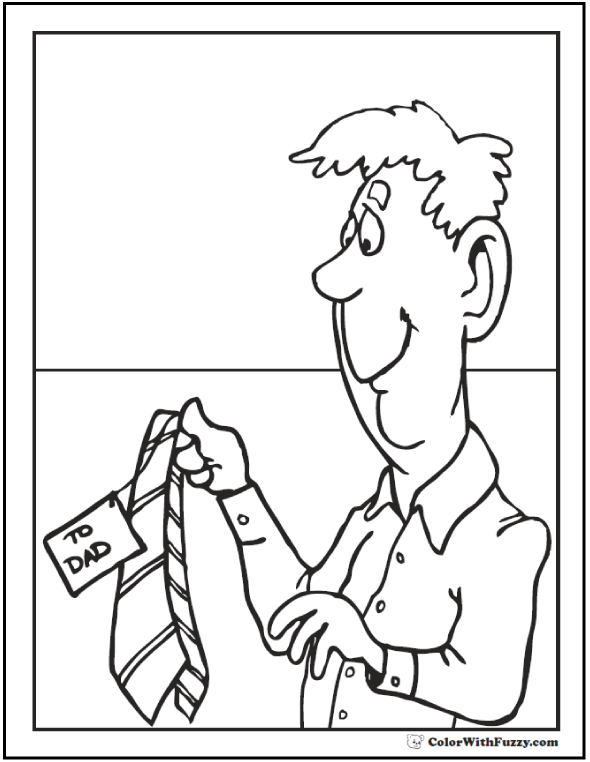 Father's Day coloring page for a great welcome home sign in the window!